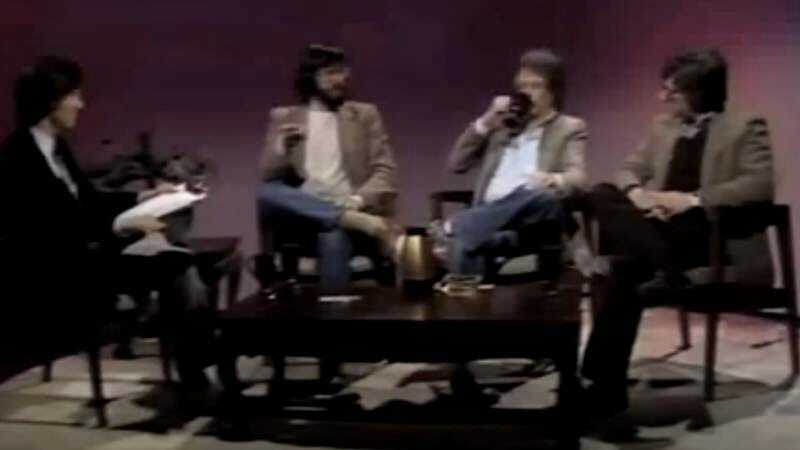 John Landis, John Carpenter, and David Cronenberg: Together, they represent a broad spectrum of horror cinema, and this clip of them talking shop on an early ’80s public access television show is unassailably great. (It shouldn’t surprise anyone familiar with film history that the show, Take One, appeared on Z Channel.) Interestingly, the host of this little discussion is none other than Mick Garris, back when he was reporting on horror, rather than making it himself. The clip was unearthed by Uproxx, and seeing the three directors trade stories about dealing with the ratings board, the painstaking nature of great special effects, and everyone being freaked out by Cronenberg’s films is a treat for fans of the genre. All three men couldn’t be more hilariously themselves if the clip were a Saturday Night Live spoof of them. Landis is his usual raconteur self, Carpenter is taciturn, and Cronenberg is charmingly nerdy, intellectualizing on the nature of his art. Garris poses some silly questions, obviously meant to elicit some strong opinions, but his guests have fun with it. Also, bonus points to Cronenberg for essentially predicting the development of the PG-13 rating. Mick Garris never really stopped doing this—if you like this spot, he’s got a bunch more from recent years on his Mick Garris Interviews website.